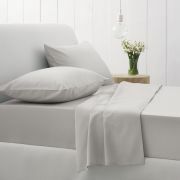 Here at www.shoplinens.ie we supply a large range of Sheridan BedLinen through our www.shoplinens.ie website. Sheridan UK - famous for luxury bed linen and superior yarns, beautiful textures and enduring quality, has been trading in the UK for over 25 years. Our collection is defined by categories such as Deluxe which encapsulates the concept of luxury bed linen with its 1200 thread count product to Junior which offers colourful playful designs and accessories for the smaller members of the family.